Hi there and welcome back to The Bluebirds Nest. I’m really excited to share another yummy dessert with you today…. Nutella Cupcakes! 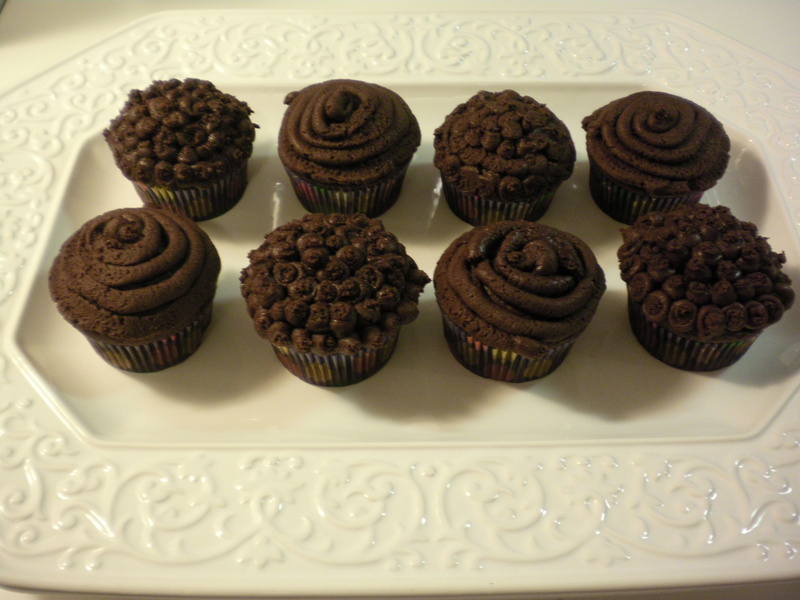 It’s no secret that I love Nutella and these “scrumtrellescent” cupcakes pack quite a chocolatey-hazelnutty punch. I researched recipes for similar cupcakes and even sampled a so-called Nutella Cupcake that cost almost three dollars. I was disappointed to say the least, so I came up with my own version and I hope you enjoy it! Go ahead and prepare the batter according to the box directions and I won’t tell anyone of you lick the spatula. It’s a chefs prerogative. 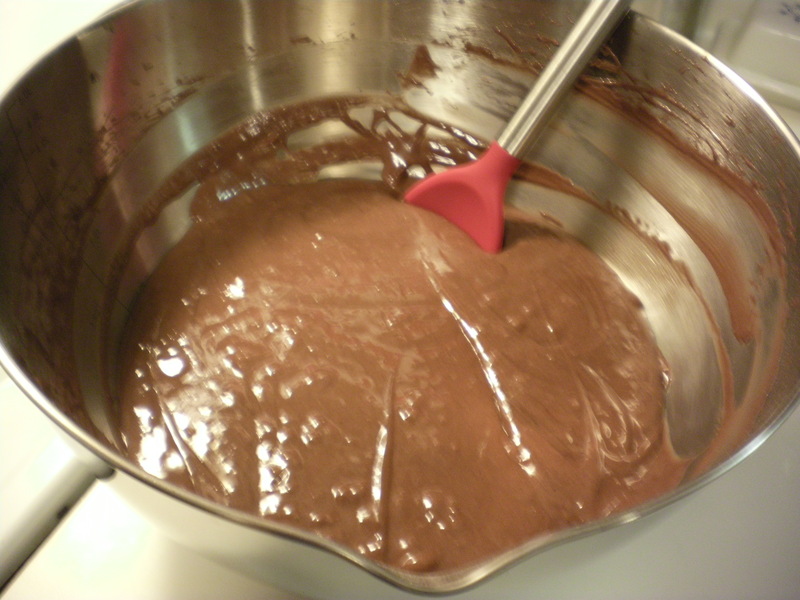 When the batter is mixed, add the extract (a teaspoon) or the tablets and a 1/2 cup of Nutella to the batter and combine. 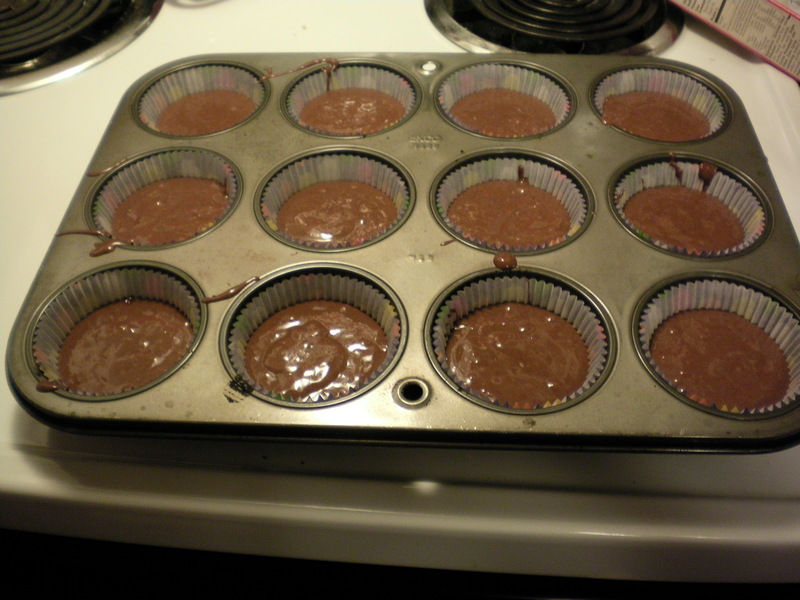 Next, place your paper wrappers in the cupcake tin and fill them 2/3 of the way. Bake until a toothpick inserted in the center of a cupcake comes out clean. The cake package will direct you. Whille the cupcakes are baking, you can work on the frosting. 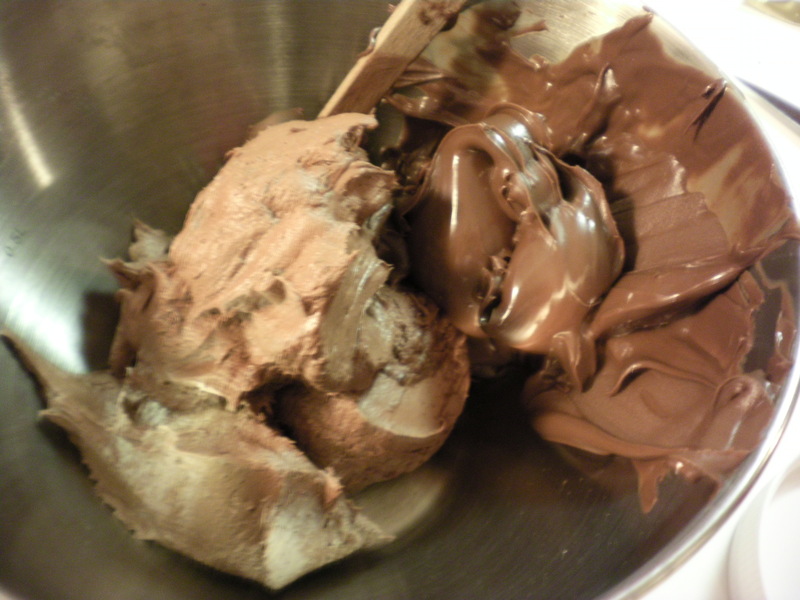 In a smaller mixing bowl, combine the can of frosting with 1 cup of Nutella. 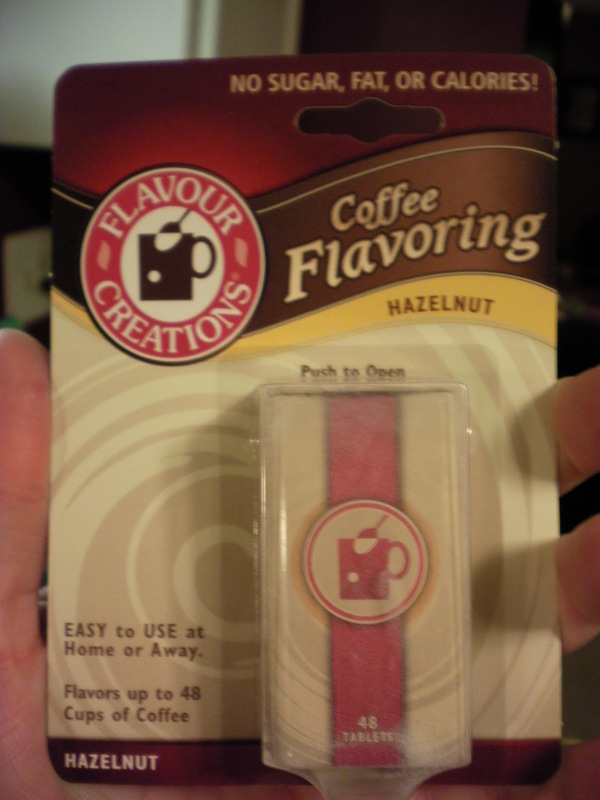 I bought a cupcake decorating kit! Yay! 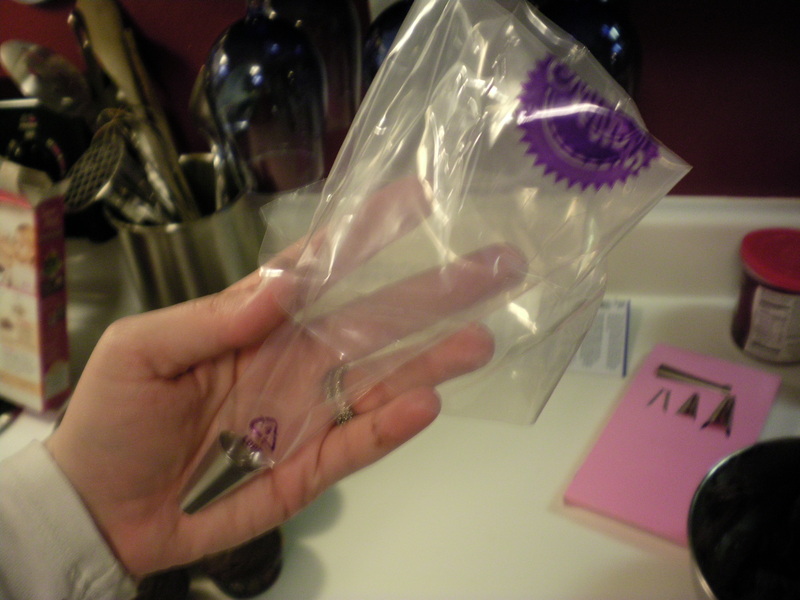 It came with pastry bags and different tips. I am so excited to decorate! 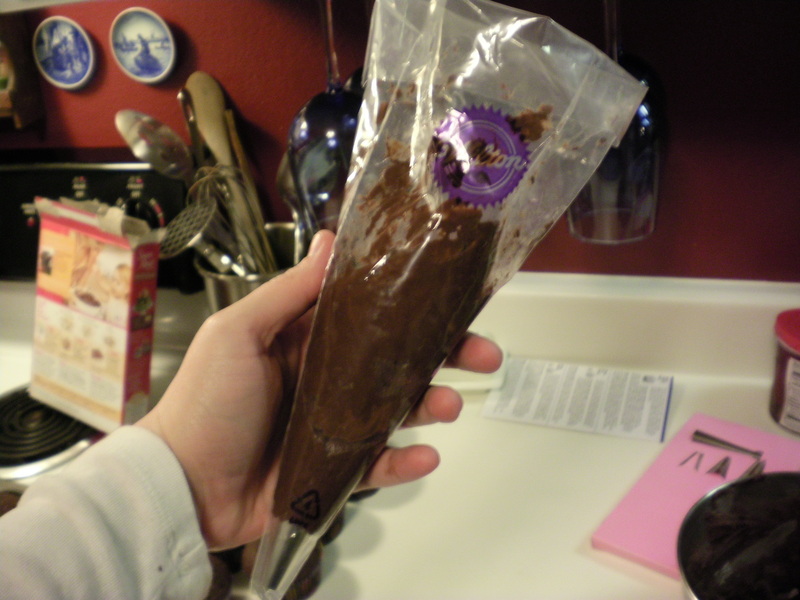 To fill the bag, roll the top down and spoon frosting inside while you squish it down the tip of the bag. It keeps a much neater bag. When the cupcakes have cooled, frost them creatively. I did a mixture of dots and swirls. For the dotted cupcakes, just squeeze drops of frosting all around the edges and top. So cute! Nutella polka dots! For the swirls, start at the edge and squeeze from the top of the pastry bag without pausing as you turn the cupcake in a circle. Just practice and it will get easier. My first few cupcakes looked hideous. These were really yummy but I did a bit of experimenting on other cupcakes and I found that you can frost with pure Nutella! OMG. Next time I make these I might do a mix of both and I may try to put Nutella in the piping bag and see what happens!